A start of the Legislative session House Party with a few short videos and lots of good times! Date/Time is to be determined call 479-616-8077 or email nathanwilson1981@gmail.com to confirm. This introductory tabling event will be an opportunity to learn about 1Sky for visitors to the Mill Avenue shops area. At this get together we'll set a plan for local activities to broaden the support in the southwestern part of the Twin Cities for action on climate change. Please join in and meet local progressives around the NE Arkansas area to discuss important national and local environmental issues. 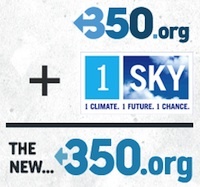 I will be showing a 1Sky video; and we will have open discussion of strategic planning to combat Climate Change. Are you interested in working with others in Grays Harbor County to do something positive about climate change? Let's talk about what's happening now, and discuss your ideas for this year.